The students trained by the renowned Qari Muhammad Nabe Anwerzadah will be reciting the Holy Qur’an during Ayyame Fatimiyya 1436 on 21st – 23rd March 2015 at HIC. Alhamdulillah, the Qur’an lessons have been progressing well with around 20 children and adults. We are looking for donors to sponsor the lessons and allow this noble work to continue. 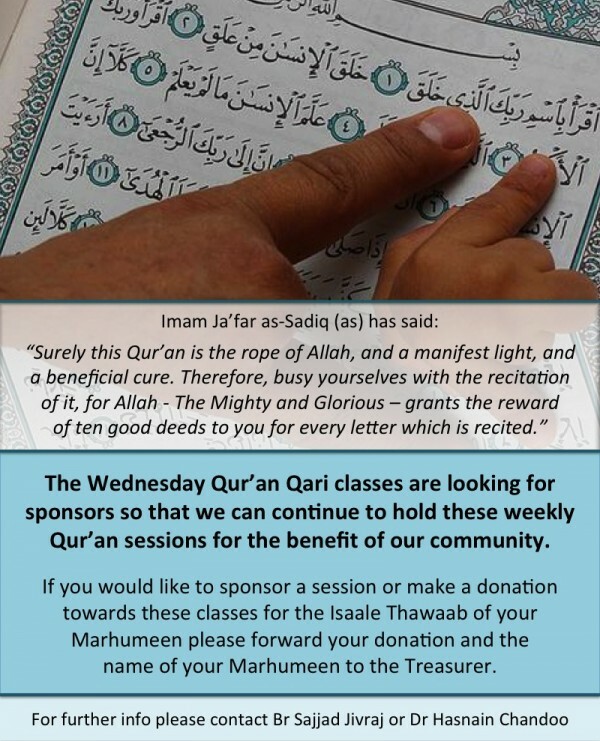 If you would like to support the Qur’an classes by making a pledge please contact the treasurer.